Obama has fired yet another commander, this time a full bird Colonel, bringing the total to over 200 commanders fired for the most ridiculous reasons! Generals are coming forth stating the military is undergoing a purge and emasculation. At the center of the influence over Obama, according to Retired Army Maj. Gen. Paul E. Vallely, is Valerie Jarrett, a.k.a. the Night Stalker. Jarrett received this nickname due to her high, late night access that allows her to go to the first family’s private residence well past the time others are allowed in. Who exactly is this person and why does she have just influence over Obama and American policy, who “seems to have her tentacles into every issue and every topic” (Rep. Jason Chaffetz, R-Utah)? WASHINGTON – After multiple top generals described to WND what they regard as a full-scale “purge” of the U.S. military by the Obama administration, the commander of U.S. Army Garrison Japan was summarily relieved of duty and his civilian deputy reassigned, pending a “misconduct” investigation. Nine generals and flag officers have been relieved of duty under Obama just this year – widely viewed as an extraordinary number – and several sources put the total number of senior officers purged during the five years of the Obama administration as close to 200. In response, prominent retired generals – ranging from Army Maj. Gen. Paul E. Vallely, a Fox News senior military analyst, to Lt. Gen. William G. Boykin, a founder of the Army’s elite Delta Force, to Medal of Honor recipient Maj. Gen. Patrick Henry Brady – have all gone on the record with WND, characterizing Obama’s actions as nothing less than an all-out attack on America’s armed forces. According to U.S. Army Japan, Col. Eric Tilley was suspended from his job by Maj. Gen. James C. Boozer Sr., commander of U.S. Army Japan and I Corps (Forward) for a “lack of confidence” based on the results of an inquiry. 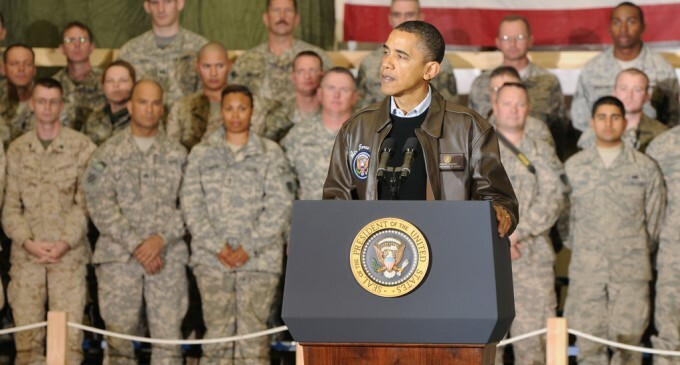 WASHINGTON – Who, or what, is behind the “purge” of top-level U.S. military officers during the Obama administration, with estimates of the number of senior officers fired during the last five years edging toward 200? According to Retired Army Maj. Gen. Paul E. Vallely, formerly the deputy commanding general of the Pacific Command, who has served as a Fox News senior military analyst , a good part of the blame belongs to Obama’s close adviser, Valerie Jarrett. Rampant “political correctness” due to her influence, Vallely tells WND, is now permeating the military and negatively affecting everyone from top generals to the ranks of the enlisted. WND has been reporting on the surge of firings, suspensions and dismissals of key military commanders under Obama, including just a day ago, when the commander of the U.S. Army Garrison Japan was summarily relieved of his duties. So far, at least nine generals and flag officers have been relieved of duty under Obama just this calendar year – widely viewed as an extraordinary number. Jarrett, a Chicago lawyer with far-left roots, is one of Obama’s closest advisers, and has been throughout his career, well before his presidential campaign and Oval Office occupancy. She has shadowed his career, largely staying out of the limelight, but is today widely recognized as perhaps the single most influential person, aside from wife Michelle, on Barack Obama. Vallely suggested her influence is forcing senior officers to watch everything military personnel say and do. Officially, the White House calls her a senior adviser with responsibilities for the offices of Public Engagement and Intergovernmental Affairs, but insiders agree her influence on the president is unique and powerful. Rep. Jason Chaffetz, R-Utah, says in a story by The Blaze, that Jarrett influences nearly every policy issue at the White House. What the hell does he know he never served. How does he continue to get away with this flagrant abuse of power ??? When is someone going to relieve this crazy man of his position as President. He’s in there illegally anyway. THis is getting redundant…. THEY ARE FIRING THE WRONG PEOPLE!!!!!!!!!!!!!!!!!!!!!! Obama and his cronies are deliberately attacking the protectors of our freedom. Watch out for the one world government. Something has to be done. The Executive branch of OUR government is out of control. If our votes cannot make a difference then We must take to the streets as we did in the 60’s to force the will of the people.